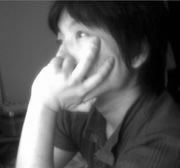 Posted on 2010/04/18 by cdbk | ガジェット, ブログ. Shared // R I N N E L //. Shared ungraffi | tomomichi ikeda _tomolog™. Shared blog Fruit du dragon. Shared Minimal Sites | Minimal Design Website Gallery and Community. Shared We Make It Good. Shared Nam : Production Diary/News. Shared kaleidosxope Inc. | カレイドスコープ. Shared Dribbble – What are you working on?. Shared 30 Minimal Logo Designs that Say More with Less | Inspiration.